As the deep voice from behind the dark curtain echoed with familiarity, the former intelligence operative knew he was talking to the one presumed dead many years ago. The "Dead Man" piled up conspiracy upon counter-conspiracy of staggering proportions. With all its unthinkable subplots, character line-up of who's who of Indian politics and innumerable state secrets, the nation's biggest jigsaw puzzle began to piece together--all the way to a shattering climax. 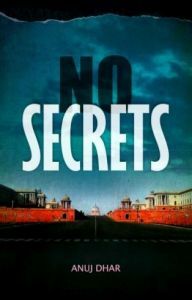 Anuj Dhar is the author of bestseller India's biggest cover-up.